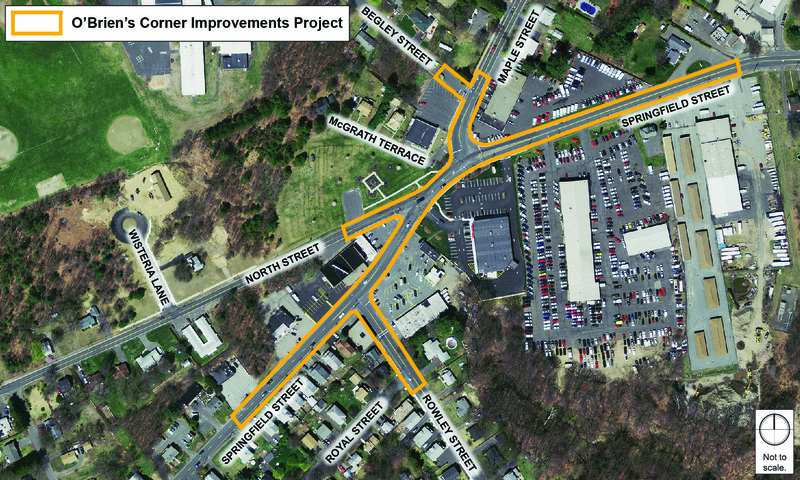 A slight alignment shift in Springfield Street to the west of O’Brien’s Corner will provide a traffic calming effect as drivers approach the intersection. 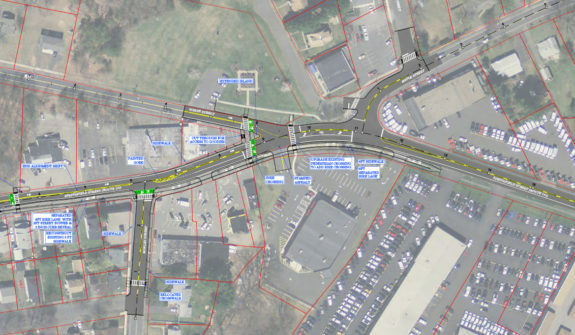 The existing traffic signals will be upgraded to include new pedestrian posts, countdown indication, and APS/vibro-tactile pedestrian pushbuttons. The signals will also be evaluated for installation of pre-emption for use by emergency services. 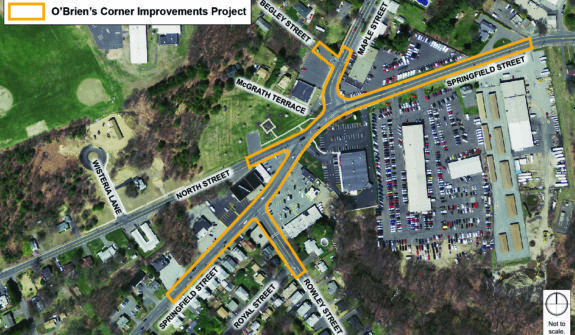 Finally, there are three bus stops along PVTA Route 14 located within the project limits that will be improved and made ADA complaint. This project is expected to be completed by the end of 2018.